In the BNN we have previously described some experts’ preferred treatment algorithms for patients with treatment-resistant post-traumatic stress disorder (PTSD), which is often complicated by traumatic brain injury (TBI). In this article, we update and expand upon these expert views. David Bakish has worked as Medical Director at the Ottawa Psychopharmacology Clinic and is a former professor of psychiatry at the University of Ottawa in Ottawa, Ontario. In addition, he works with the Canadian military seeing patients with PTSD, substance abuse, and traumatic brain injuries. 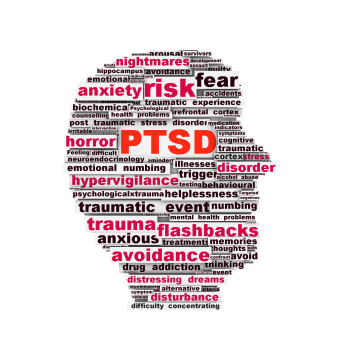 He uses a symptom-driven approach to PTSD, including 6 to 7 targeted medications added in sequence. Albert Sattin is a professor of psychiatry and biobehavioral sciences at UCLA, belongs to their Brain Research Institute, and is affiliated with both the Ronald Reagan UCLA Medical Center and the Veterans Affairs Greater Los Angeles Healthcare System. He prefers to treat PTSD with a three-part combination of the blood pressure–lowering drug prazosin, a selective serotonin reuptake inhibitor (SSRI) antidepressant, and the atypical antidepressant mirtazapine. Murray Raskind pioneered placebo-controlled studies of prazosin for PTSD and served as director of the Veterans Affairs Puget Sound Health Care System Mental Health Service, in addition to serving in the Department of Psychiatry and Behavioral Sciences at the University of Washington School of Medicine. 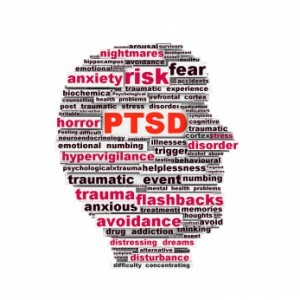 Raskind’s approach to PTSD includes prazosin, the tricyclic antidepressant amitriptyline, and if needed for sleep, the sedative zolpidem. At another symposium at the annual meeting of the American Academy of Child and Adolescent Psychiatry, Bob Kowatch of Ohio State University discussed a controlled trial of valproate, risperidone, and placebo in children 3 to 7 years of age (average age 5.5) with a diagnosis of bipolar I disorder and a Young Mania Rating Scale score (YMRS) greater than 20 at baseline. All of the children were severely ill with an average Clinical Global Assessment of Severity (CGAS) score of 44. Seventy-six percent had comorbid attention deficit hyperactivity disorder (ADHD) and 15% had an anxiety disorder. Valproate doses started at 10mg/kg and were increased after 4 days to achieve blood levels of 80 to 100µg/ml. The average dose of valproate was 300mg/day and the average blood level was 88 µg/ml. Risperidone was started at 0.25mg and increased as needed. The average dose of risperidone was 0.5mg per day. On the main outcome measure of decrease in the YMRS score risperidone was substantially more effective than placebo, while valproate showed only marginal nonsignificant effects. However on the Clinical Global Impressions (CGI) scale for improvement in illness, risperidone showed 87% response, valproate 75% response, and placebo no response. In terms of 50% reduction in the YMRS score, this endpoint was achieved in 88% on risperidone, 50% valproate, and 15% on placebo. 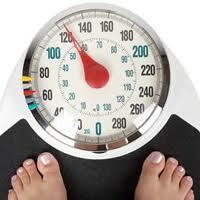 Weight gain was mild on valproate and substantially more on risperidone. Risperidone was also associated with increases in insulin and prolactin. The effect size (the size of the change the drug brought about in this study, which is calculated by dividing the mean difference between the experimental group and the control group by the standard deviation) for risperidone was extraordinarily large (3.58); very large for valproate (1.66), and moderate for placebo (0.56). The odds of getting well were 5 times greater than placebo for risperidone and 1.9 times greater than placebo for valproate. We’ve been posting about repeated transcranial magnetic stimulation (rTMS), a treatment in which a magnetic field is applied to a patient’s head, where it is able to affect tissue 2-3 centimeters into the brain. 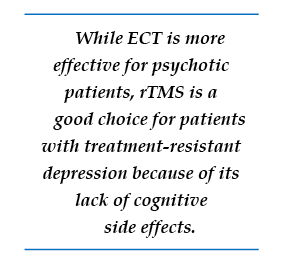 In randomized, controlled, head to head comparisons of electroconvulsive therapy (ECT) and repeated transcranial magnetic stimulation (rTMS), ECT often proves superior, particularly for a more severe psychotic or medically compromised patient. Nonetheless, for a more routine patient with non-psychotic depression, multiple studies have shown approximate equivalence of rTMS and ECT, while rTMS may have a superior benefit-to-risk ratio because it brings less risk of cognitive dysfunction. Thus, given almost equivalent efficacy for some subgroups of depressed patients, and a clear advantage for rTMS in terms of lack of cognitive side effects, this editor/clinician would recommend a course of rTMS prior to a series of ECT for the subgroup of non-emergency treatment-resistant depressed patients. 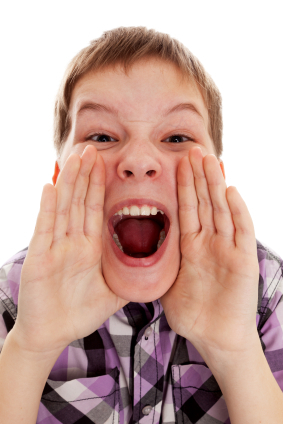 There are no FDA-approved treatments for children under age 10 with bipolar disorder. For an article in Psychiatric Annals, this editor and Janet Wozniak asked experts how they would sequence treatment of a hypothetical case of a 6-year-old with extreme mood instability consistent with a diagnosis of BP -NOS (see Table I). We also asked how the experts would treat a different case of a 9-year-old with a full-blown psychotic BP-I mania (see Table II). The results are presented and discussed in detail in the article, and are presented here to reinforce several points. The recommendations for children under 10 and for BP NOS are highly similar to consensus guidelines for older BP I children compiled by Kowatch et al. Treatments in the face of non-response to option A or others are sequenced differently by different experts, but almost always involve an atypical antipsychotic (AA) or a mood stabilizer (MS) such as lithium, valproate, carbamazepine/oxcarbazepine, or rarely, lamotrigine. Revisions of atypical antipsychotics and mood stabilizers and use of combinations are the common next strategies. EDITOR’S NOTE: Dr. Gagin Joshi of Massachusetts General Hospital, who presented the work on carbamazepine and lamotrigine on page 1 provided us with his own general treatment algorithm for youngsters with bipolar disorder. Joshi typically starts with 0.5 to 2 gms of omega-3 fatty acids because of their benign side-effects profile, the many studies suggesting they are effective in adult mood disorders, and a recent article indicating that they were effective in preventing the conversion of prodromal schizophrenia into full-blown illness in a randomized double-blind controlled study in Australia. After the omega-3 fatty acids, Joshi’s second choice is typically the atypical antipsychotic aripiprazole (Abilify) because of its lesser degree of weight gain compared to atypicals quetiapine (Seroquel) or risperidone (Risperidol). Risperidone can be a third option if aripiprazole is not effective or tolerated.